For all possible Wet Area applications and as Building/ Siding panel for DIY paint treatment as required on site. High density fiber cement supplied untreated and in dyed light sand/grey color. 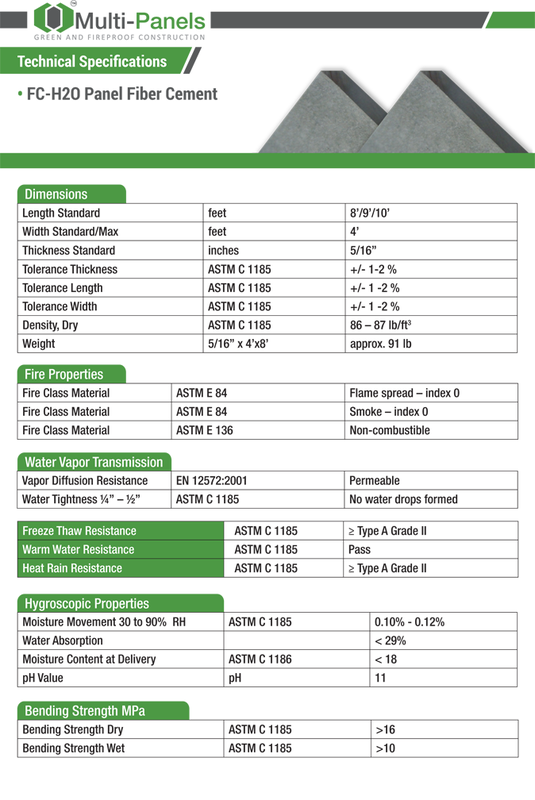 Fire rating, according ASTM E 136 Non-combustible. The panel is air permeable when untreated from factory. The panel has a very hard and smooth surface, ideal for DIY painting and as a water proofing membrane for wet room areas, etc. When treating with paint or primer, it is important that all sides are treated so the panel does not distort. Resistant to mould fungus, etc. The panel’s high pH value of 11 and its high density makes the board very resistant to attack by termites, fungus and mold. The panel does not rot or degrade in humid environments. The panel is not affected by wet conditions and it can absorb and release moisture an unlimited number of times without the board’s strength properties deteriorating.